Italian heavy cruiser “Fiume” on the sea trials. “Fiume” belonged to a series of Italian heavy cruisers like “Zara” – some of the most successful Italian cruisers. Along with the traditional for Italian ships of high speed (32 knots), these ships were also perfectly protected with 150 mm armor. “Fiume” was started construction at the shipyard “Stabilimento Tecnico Triestino” in Trieste on April 29, 1929, launched on April 27, 1930, entered service in November 1931. During the battle at Cape Matapan in the late evening of March 28, 1941, “Fiume” was heavily damaged by artillery fire of British battleships and soon sank. 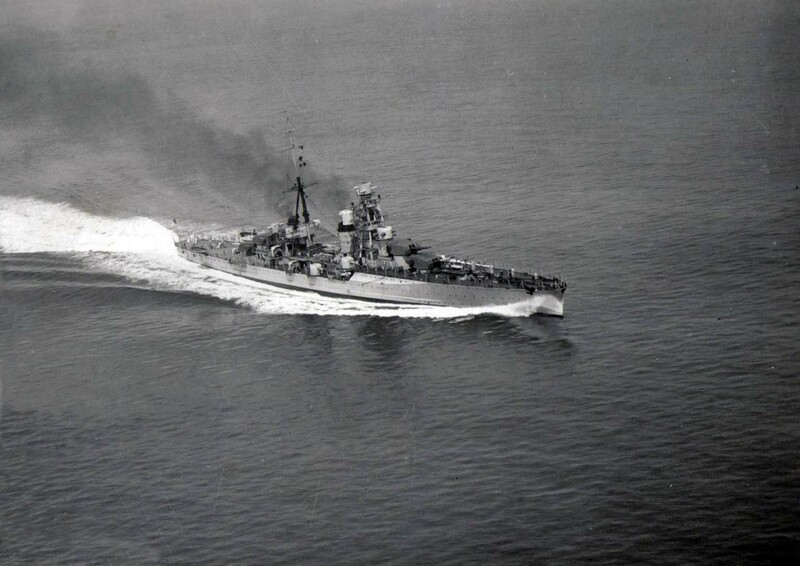 In this battle, the same type of cruiser “Zara” and “Pola” also died.